On July 22nd 2010, Facebook officially announced that it had surpassed 500 million users around the world. This significant achievement represents a significant milestone for Zuckerberg and Co. as well as for social networking and more importantly for global societies overall. To celebrate this achievement, Facebook released Facebook Stories, a new service to spotlight user stories from around the world and the impact Facebook has had on their lives. – Ben Saylor, a 17-year-old high school student, who turned to Facebook to organize a community effort to rebuild the Pioneer Playhouse, the oldest outdoor theater in Kentucky, after it was damaged by floods in May. – Danish Prime Minister Anders Fogh Rasmussen, who, during his time in office, would go jogging with 100 of his fans from Facebook. – Holly Rose, a mother in Phoenix, who credits a friend’s status message telling women to check for breast cancer with her being diagnosed in time to treat the disease. She used Facebook for support during treatment and became a prevention advocate herself. 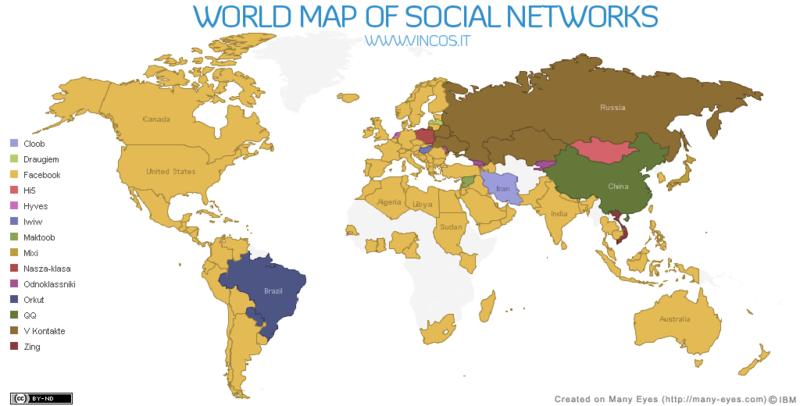 Facebook is the leading social network in 111 out of 131 countries as recently analyzed by Vincenzo Cosenza. If Facebook was a country, it would rank third, just behind the People’s Republic of China and India and roughly 190 million ahead of the United States, over 200 million greater than Indonesia, and 300 million greater than Brazil. If we examine the breakdown of Facebook’s population, we’re presented with an interesting picture of worldwide adoption (source). To offer a bit of balance, at the end of the population list, Anguilla Facebook ambassadors rank at number 187 with 6,420 users. When we examine worldwide Facebook activity however, we’re presented with a different picture. According to O’Reilly Research, Asia and Africa represent high growth regions. O’Reilly also reports the age demographics of users in each country. The share of users age 18-25 is higher outside the U.S., but notice the representation of users 35 and older. Facebook’s mission is to help make the world more open and connected and indeed it is changing how people interact online. The “Facebook” stories shared through this new service highlight very human ways that social networking is changing people’s lives and I believe that is the bigger story here. Over time, I have borrowed Cisco’s tagline, “The Human Network” to demonstrate how digital social networks were contributing to a new era of society that transcends online and offline relationships and how we foster and interact with each. The discussion as to whether or not Facebook is the largest social network in the world is no longer relevant. Facebook, along with other prominent and emerging networks such as Twitter, Foursquare, and hundreds of other networks, has forever changed the way individuals connect and share with one another, adapting cultures and customs, dissolving borders, and uniting disparate cultures. The world is indeed becoming a much smaller place. Many experts continue to cite British anthropologist Robin Dunbar’s famous number of 150 (estimated). Dunbar’s number represents the maximum number of social relationships we as individuals can manage to a stable extent. If we look at Facebook data, the average person maintains a social graph of 130. 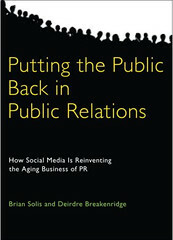 However, I believe that we will eventually see a shift from relationships to relations as a result of social networking. The average number will grow from 130 to double over the next 1-2 years as individuals expand their social graph from those we know in first-degree relationships and those we care to know, second and third-degree relationships. While we’ll still place greater emphasis on important offline and online relationships through active interaction, we will also consume, react to, and share thoughts, insights, and content with those individuals that move us intellectually and emotionally. As a result, Facebook will eventually need to revisit its current friend limit of 5,000. For those individuals who hit that ceiling, their only option is to move from a profile to a “brand” page. Doing so however, shifts the dynamics of the relationship and resulting interaction from a peer-to-peer or horizontal axis to a top-down or vertical grade of communication. We will focus shifting attention on the sub-networks within our social graphs that are separated by themes and context. These social “nicheworks” will result in higher engagement and participation as the core of these discussions, individuals are rewarded for their participation with intelligence, a platform to share their perspective as well as new requests for connection. Expect to see Facebook create grouping functionality to draw lines between interaction within these nicheworks to ensure that we do not cross the streams within our main social graph. So, how has Facebook changed your world? I currently working on a privacy report that encompasses Facebook and Twitter…stand by. Like borders, privacy concerns are too eroding. I really like this Facebook stories addition to the site – kinda cool to see how Facebook has changed each of our lives. Thanks for sharing! I really enjoy reading your work every day and am glad to hear your working on a privacy report. There are a lot of ways in which our privacy needs are generational, however, the exploitative marketing potential of gathering all your friends info and other data, etc.. I think puts too much information in the sellers' hand. It may be too late already, but we have to draw a line in the sand, if people are only looked at as consumers, at least here in the US, it fosters continuing underlying problems for us economically. MY 2 cents. Thanks as always, Brian, for your excellent in depth analysis! Very good analysis, Brian. There is so much detail in this one single report that each of the stats can be built into a story of its own. Look forward to more!